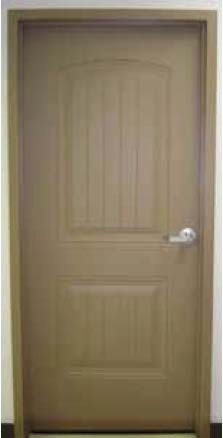 Omaha Door & Window Co. specializes in commercial entry door replacement. Steel, stainless steel, wood, aluminum full glass, and special application doors are available. We can offer custom fabricating of doors and frames at our plant. New construction installations are available. We can repair or remodel your existing opening. Full service trucks that are available for 24-hour emergency service. Full perimeter epoxy thermal barrier reduces conductivity energy loss. Embossed doors with Lite Kits are furnished factory glazed. 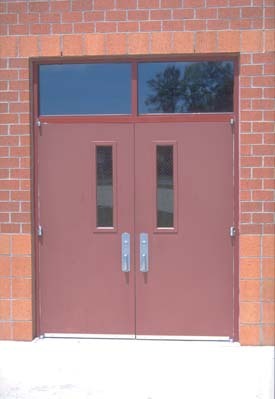 Tornado Doors are designed to endure tornado force winds and flying debris. Developed to resist missile penetration for use in buildings designed as shelters to protect occupants from injury. Successfully tested in accordance with the guidelines set forth by the Federal Emergency Management Agency. Most popular full mortise hinge used on medium weight doors or doors requiring average frequency service. Five knuckle two ball bearing non-rising removable pin with button tip and plug. Standard size is 4 1/2 X 4 1/2. Hager manufacturing has a wide variety of hinge styles, finishes, and sizes. 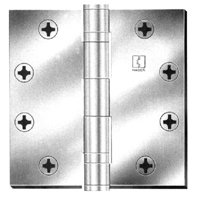 Continuous geared hinges, excellent as replacement hinges on damaged doors or frames. Dependable in demanding applications like a busy school. Extends the full length of the door and frame. Instead of a pin, typical of traditional hinges, it uses two centers to form a rotating joint. Since they roll when they come in contact, lateral wear is minimized. The unique gear profile extends from top to bottom inside a high strength cover channel. Series Lever cylindrical lock ideal for high use commercial and institutional applications. Exceeds ANSI Grade 1 requirements. The CL3300 advantages include: patented lever release design for vandal resistance, solid cast levers, anti-rotation throughbolts, independent return springs to prevent lever sag, cover is ANSI/DHI with Door Prep A115.18-1994 “Spider Cut Out”, and UL 3 hour fire rating for 4′ x 10′ door. Series ideal for light commercial applications. Exceeds ANSI Grade 2 requirements. Typical applications include: interior offices, restaurants, retail complexes, closets and multi-family housing. CL3800 advantages include: solid cast levers, UL 3 hour fire rating, independent lever return springs, throughbolts on door for solid attachment, cover is ANSI/DHI with Door Prep A115.18-1994 “Spider Cut Out” and patented lever release for vandal resistance. Series heavy duty knob lockset. Ideal for demanding, high-use commercial, industrial and institutional applications. Exceeds ANSI Grade 1 requirements. Lock-on rose liners and thimble increase security and prevent lock from loosening. The 1 3/4″ knob shank minimizes wear and the 5/8″ latch and concealed knob catch enhances strength and security. Series standard duty knob lockset gives an outstanding combination of value and performance. Ideal for quality residential and light commercial buildings. Zinc dichromated coating for corrosion resistance. Adjustable latchbolt accommodates flat and beveled doors. Wide array of functions and finishes. Ilco Unican pioneered mechanical pushbutton access controls, and continue to be the world leader in this type of security. No more keys with these mechanical access control locks. Entry is gained by pressing the correct code. Multi-size entry door closer is adjustable for power sizes 2-6 and meets the American National Standards Institute (A.N.S.I.) standard A156.4. The Norton 7500BF entry door closer is adjustable to sizes 1-4 to meet requirements for maximum door opening force as outlined in The Americans with Disabilities Act (A.D.A.) and ANSI standard A117.1, “Accessible and Usable Buildings and Facilities”. Americans with Disabilities Act (A.D.A.). TRI-STYLE: Standard Closer can be installed regular arm, parallel arm or top jamb. Series is proven effective in high use, high abuse environments. Ensures latching for access control and fire and barrier-free code compliance. Ideal for virtually all door openings and draft conditions in both new and retrofit construction. Non-sized and fully adjustable 1 through 6 power settings. Backcheck setting and is adjustable up to 180º opening for regular, top jamb and parallel arm mountings. Reputation for strength through their unmatched ability to withstand the most abusive application. Precision Hardware, Inc., has been manufacturing panic and fire exit hardware for over 50 years. All Precision Exit Devices are manufactured with rugged cast bronze, tenzaloy, or investment cast stainless steel chassis which provide more durability and the highest security. Available in Apex contemporary touchbar and olympian traditional crossbar and a wide variety of finishes and outside trims. 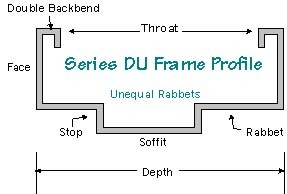 Series- Low profile and projection for barrier free code compliance. No projecting parts to inhibit egress. Heavy duty steel construction and Grade 1 performance, priced for outstanding value. Meets rigorous life safety and security requirements, while offering pleasing aesthetics and trouble-free operation. Meets ANSI Grade I requirements. Wide variety of finishes and trims available. 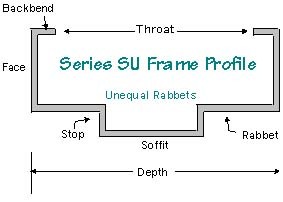 Frame by Anemostat provides a 20 gage steel flush more streamlined look to the door installation. Protrudes only 5/64 off the door face. For use with 3/16″, 1/4″, or 5/16″ glazing material and 1-3/4″ doors. Has same fire ratings as BFL-123. Door Louver by Anemostat uses 18 gage steel frame with inverted Y 22 gage steel blades with non vision design. Door Louver by Anemostat is Fire Rated with Fusible Link. U.L. label Fire rated up to 90 min., max. size 24″ x 24″. Stainless steel operating springs assure proper action when the 160 degree fusible link releases the closing mechanism. Uses 18 steel frame and inverted Y 18 gage steel blades with non-vision design. Numerous styles and finishes of door accessories. Kickplates: an attractive means of protecting a doors surface from the scuffing and marring. They are available in various thickness’ and materials such as stainless steel, laminate plastic, and even in various colors with specific materials such as Kydex or Nevamar. Door pulls and push bars from solid bar stock. They are available in all architectural finishes including: aluminum, stainless, brass and bronze in both straight and offset designs. They also offer Custom designs via our engineering dept. to meet your exact needs. Wall bumpers and doorstops are available in numerous styles and finishes. Wall bumpers and many of our stops feature a non-yellowing low durometer rubber bumper. Stops are available in both automatic and manual types. Heavy duty surface and flush bolts for all your security needs. Large assortment of thresholds, weatherstrip, door sweeps, automatic door bottom sweeps, astragals,smoke seals, and stair treads. Reese Enterprises has been manufacturing weatherstrips, thresholds and other door products for more than 80 years. They produce a wide variety of weatherstrips and thresholds in a range of styles, materials and finishes. 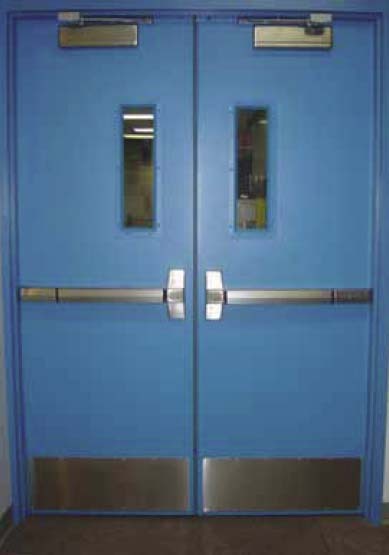 Door equipment manufactured by Reese Enterprises includes adjustable door stops, automatic door bottoms, strip doors, sound proof equipment, rain drips and door caps, shoes and extenders. Detex Security Hardware Products has been the industry standard alarmed exit control lock for more than 30 years. The ECL-230 series has been continuously updated to provide even more options, quality, and value, all in a time tested design. Detex has a complete line of rugged, dependable security products which include exit alarms, access control systems and exit control locks.